Employers evaluate the community as a place to hire new employees or will relocate existing employees. Trees can add to the quality of life in a community, which in turn, attracts employees. A good quality life can also contribute to employee satisfaction, and retention. Most people consider parks, trees, streams, and natural areas as a very important part of their community. Property value increases where trees are present. Many home buyers consider a property with trees to be worth several thousand dollars more than similar properties without trees. Studies have shown that crime rates are lower in areas with trees. Mental health is improved in communities with a vital urban forest, and stress levels are measurably lowered. In fact, hospitalized patients may recover quicker in rooms overlooking trees! Can communities afford urban forest management? A better question is can they afford not to have it? Attractive views, lower city taxes, reduced flooding danger, clean air, clean water, lower energy bills, and a pleasant climate are important to community residents and businesses alike. In a number of studies, trees have been proven to save money on vital basic services by providing: Storm Water Control, Pollution Control, Energy Savings, Community Revenue Savings and Climate Benefits among others. The benefits we receive from our urban forest depends on the way we manage it. The urban forest could be compared to a new car. It can be driven without any investment in care for a short time, but maximum benefit is obtained from investing in its care for the long term. The role of the City of Dallas and UFAC is to develop good forest management practices so we can maximize the many benefits of our urban forest. For more detailed information on the benefits of trees go to the Alliance for community Trees website. 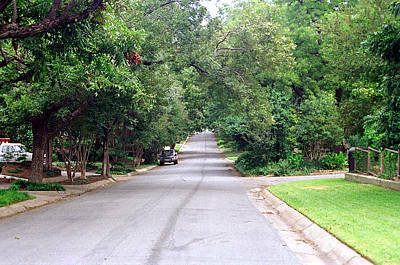 One Response to How Can Urban Forests Make a Better Dallas?